Our morning routine is a little different while we’re staying with Gran. You love to watch Thomas the Train when you get up, so your dad sometimes brings your breakfast to bed. You eat breakfast and watch TV while we get ready. 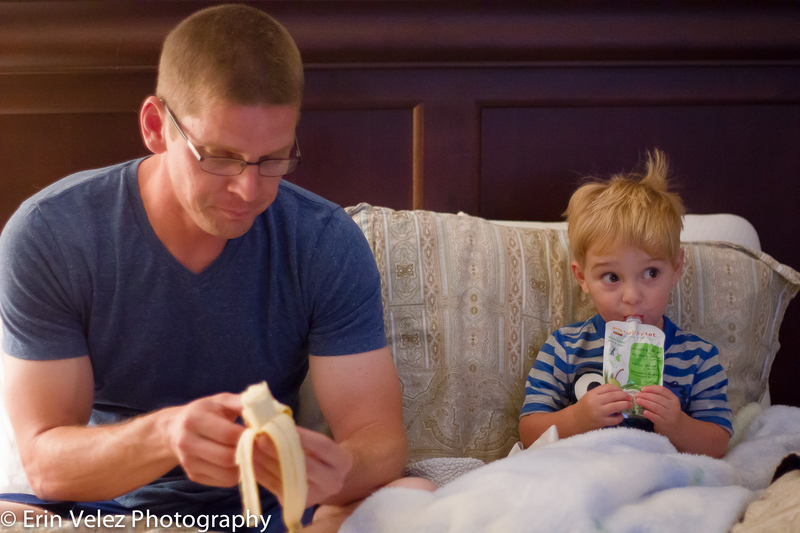 Sometimes, your dad even eats breakfast in bed with you! All of these chairs are currently out of our price range, so it will be a while before we can add them to the table. We’re planning on having a Thanksgiving celebration at our house this year, and we are hoping to have something in place by then. I guess we’ll be searching through Craigslist and flea markets to see if we can find any for a more reasonable price. Or, maybe Carey will learn how to make chairs next. Can he build it? Yes, he can! 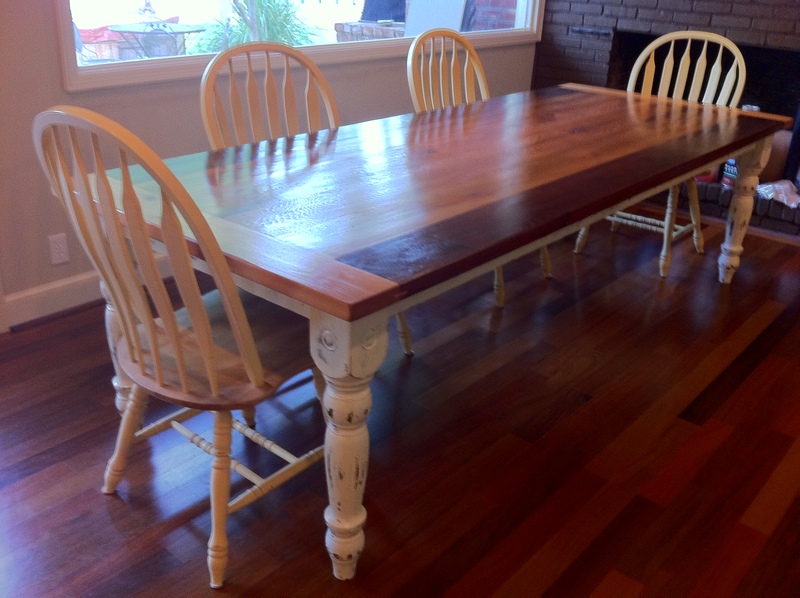 Any thoughts on which chairs you think fit best with our table?